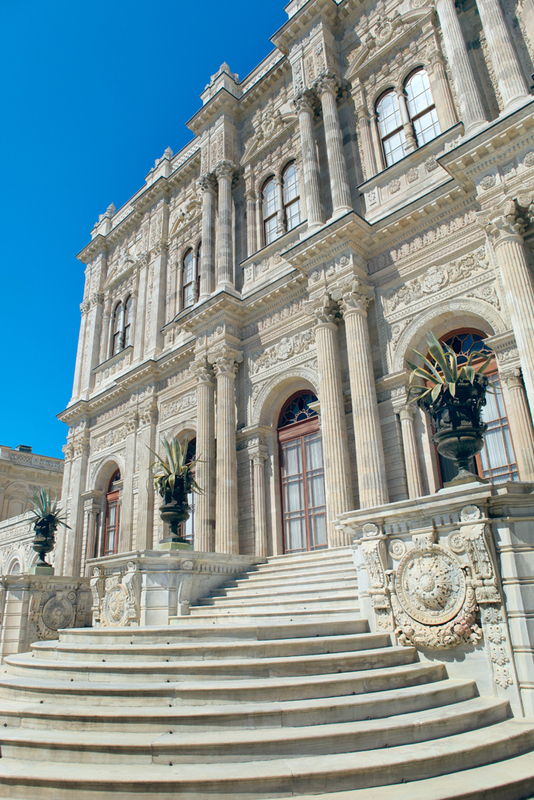 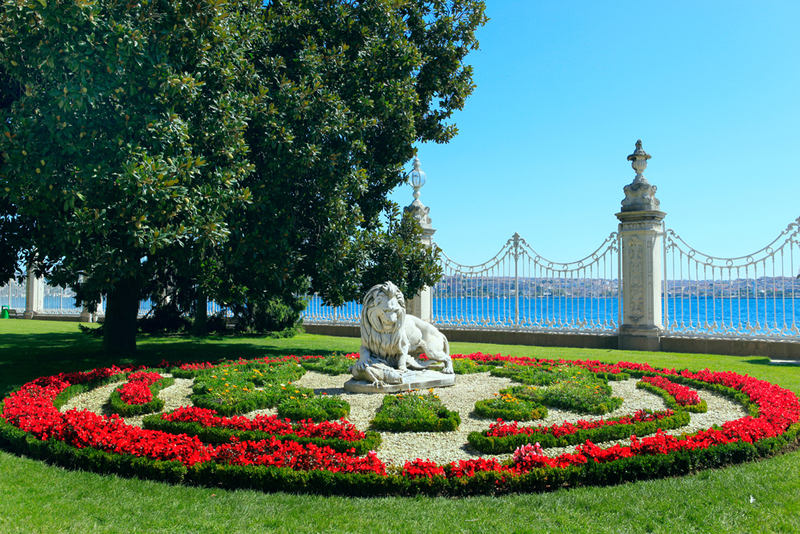 Between Beşiktaş and Kabataş on the shore of the Bosphorus, Dolmabahçe Palace draws attention for the diversity of architectural styles used in its construction. 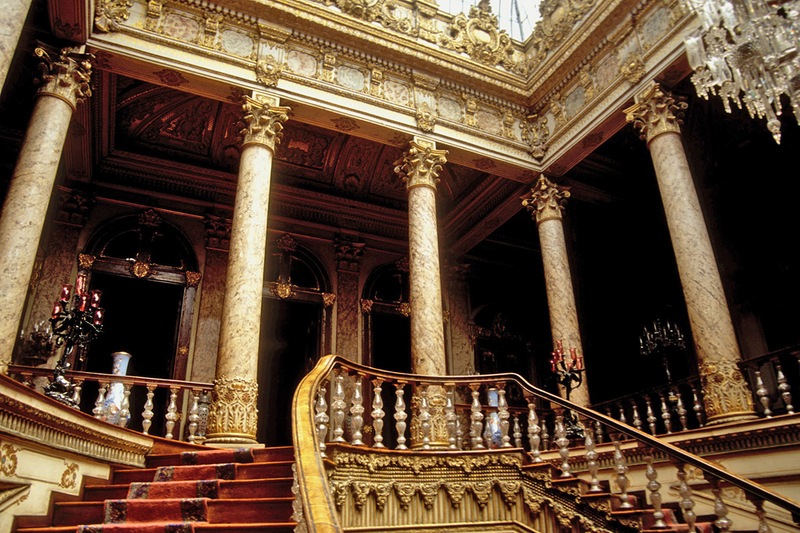 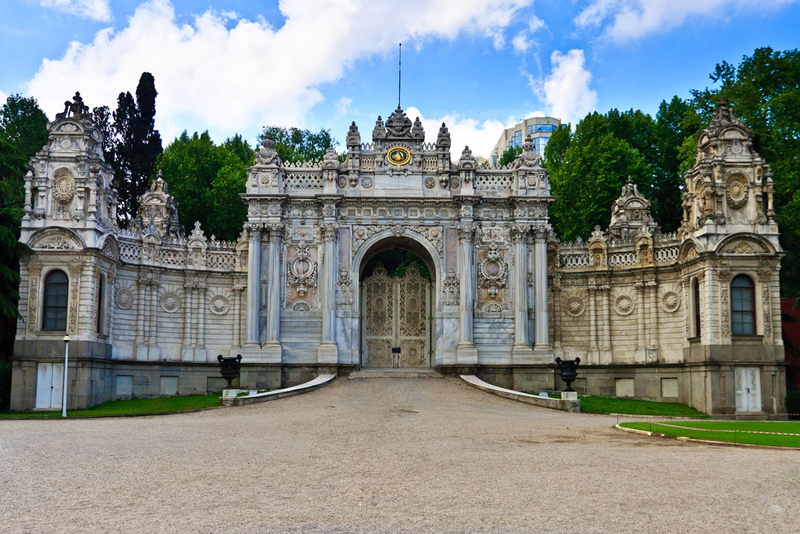 Located between Beşiktaş and Kabataş on the shore of the Bosphorus, Dolmabahçe Palace (Dolmabahçe Sarayı) draws enormous attention for the diversity of architectural styles used in its construction. 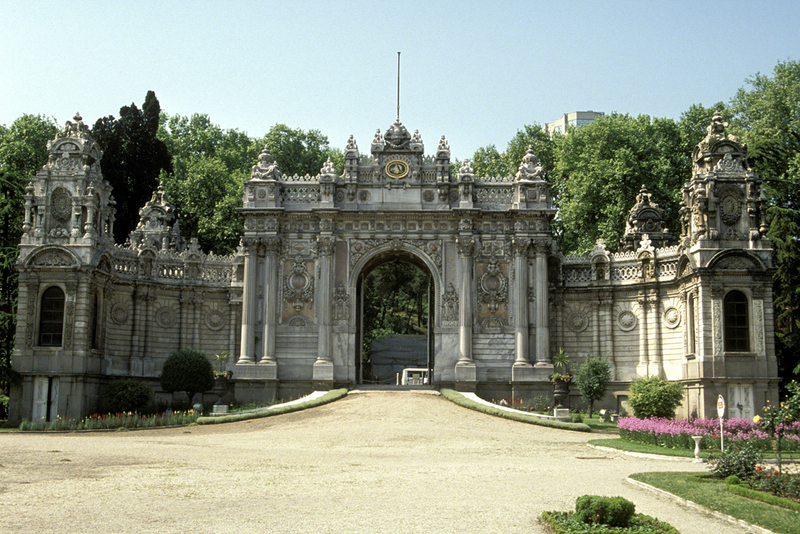 Dolmabahçe Palace, commenced to be built in 1843 by the orders of the Ottoman Sultan Abdülmecit I. 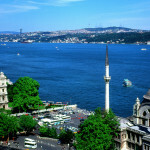 Since then it has come to be identified with Istanbul. 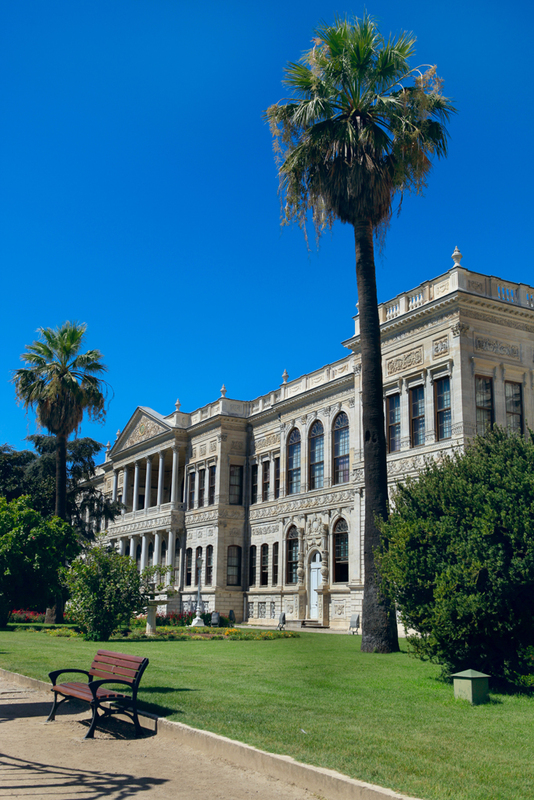 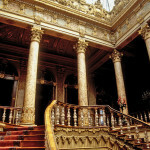 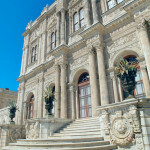 The palace was constructed by famous architect Garabet Amira Balyan and his son Nigoğos Balyan. 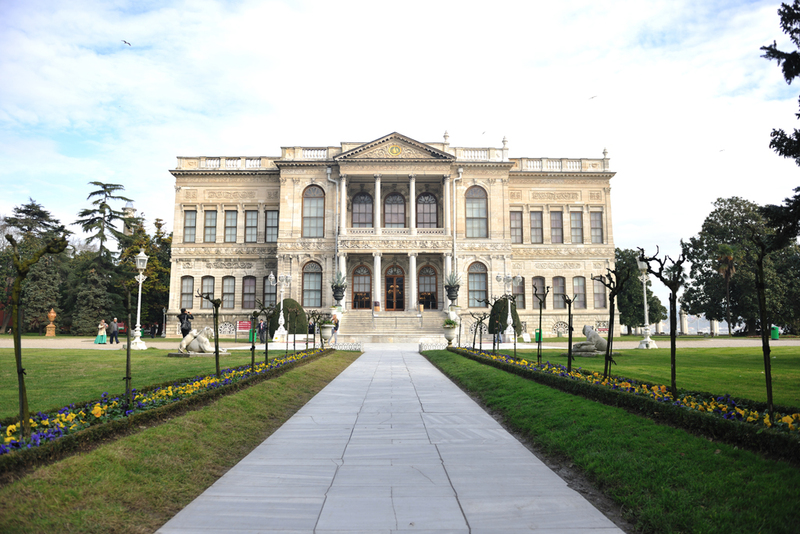 By 1855 the palace was finished, creating severe financial difficulties for the Ottoman state, which already had entered its final years. 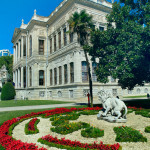 During the Republic period, the palace was used as a residence for the founder of the Turkish Republic, Mustafa Kemal Atatürk, and as a site for meetings, conferences, and hosting foreign dignitaries. 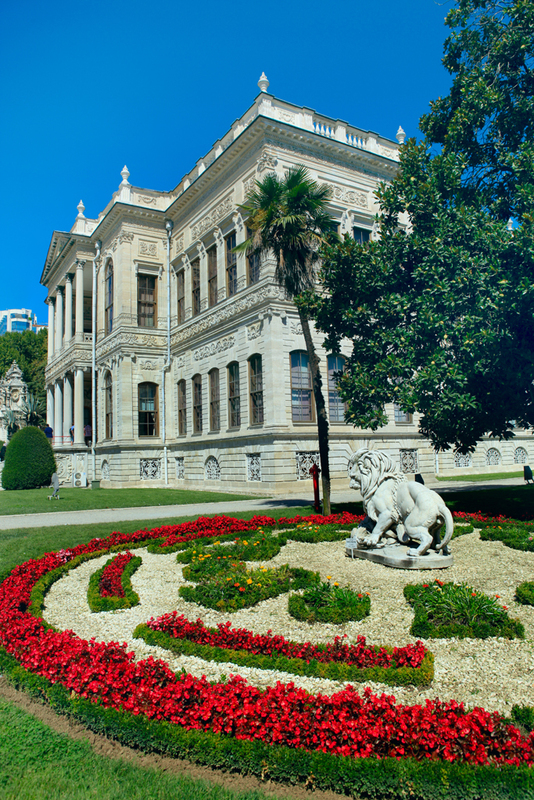 Atatürk resided at the palace during his final illness, passed away on its grounds in 1938. 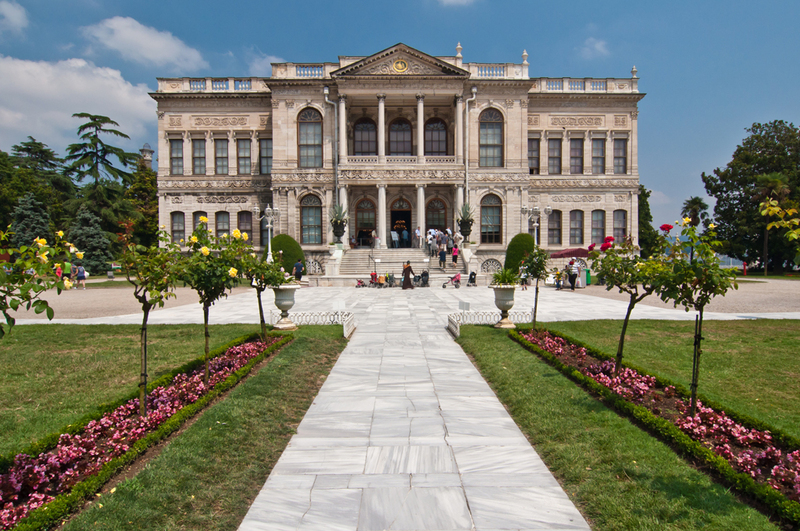 As perhaps the richest and most magnificent of the Ottoman palaces, it is divided into a living space for the Sultan’s family and consorts (Harem-Cariye) and a space to receive visitors (Selamlık). 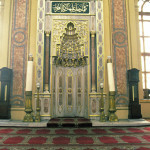 All tours are guided and last about two hours. 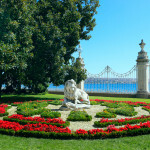 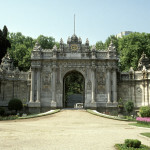 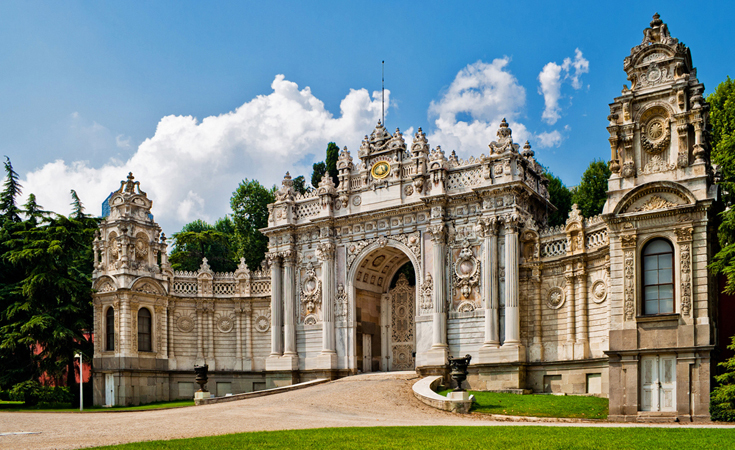 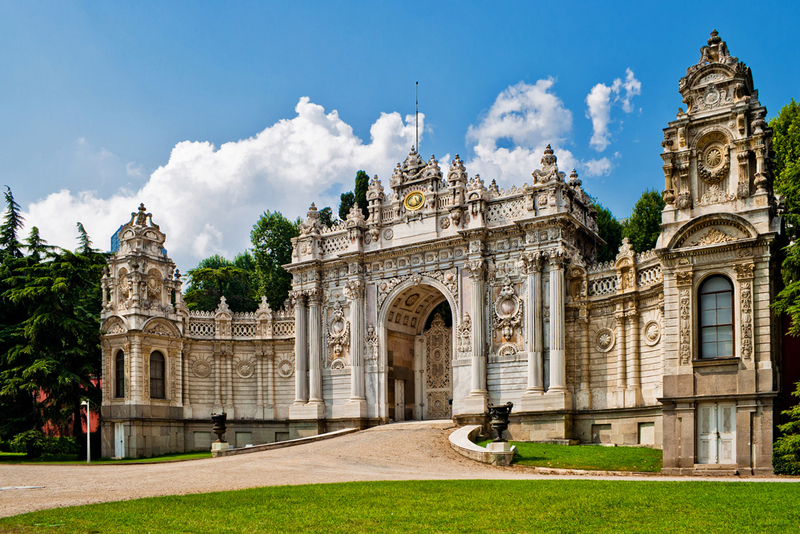 The visitor entrance is by the Dolmabahçe Clock Tower and the Dolmabahçe Mosque, both also built by the Balyan family. 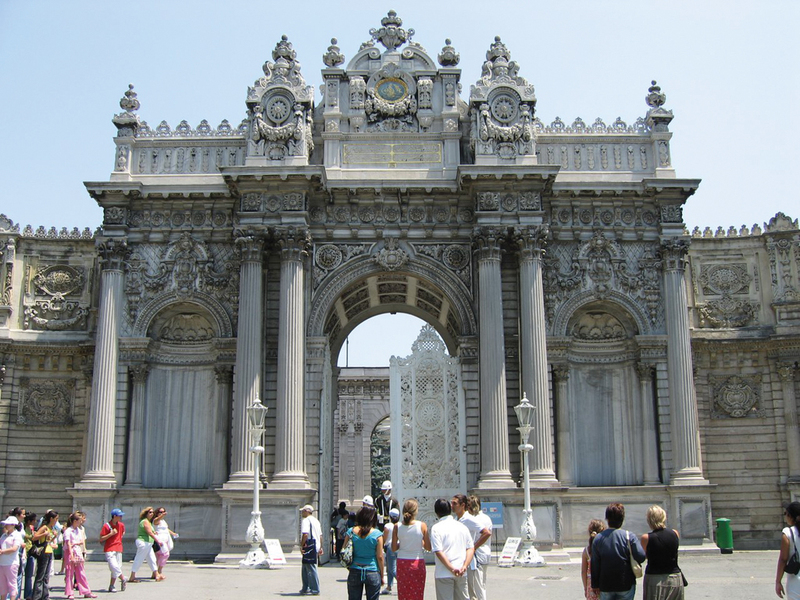 Taksim: Take the funicular railway inside the Taksim Metro station to reach Kabataş. 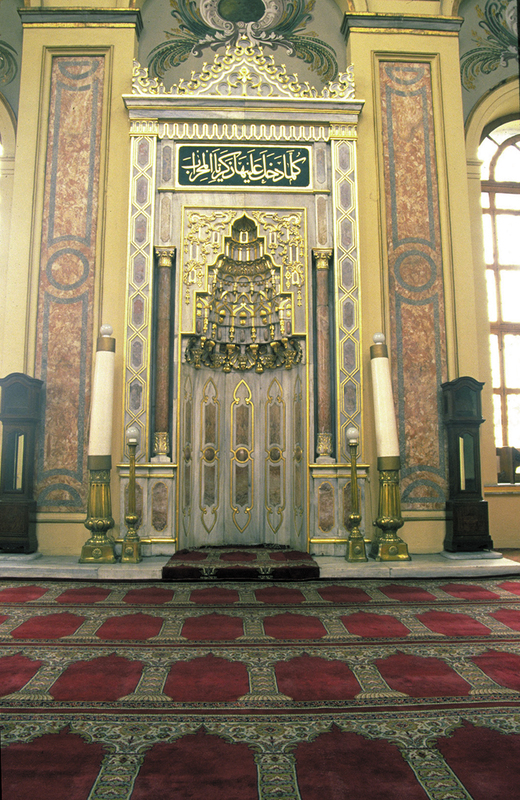 From Kabataş, it is within walking distance. 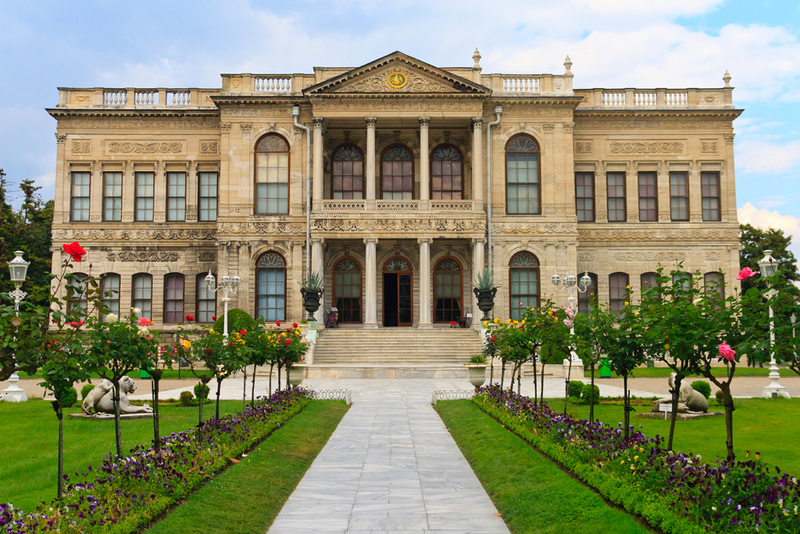 Atatürk Airport: You can take the Aksaray – Havaalanı metro line, then catch the transfer line, T1 Zeytinburnu – Kabataş and get off at Kabataş, from where it is within walking distance. 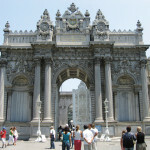 Blue Mosque Area: Take the T1 Zeytinburnu – Kabataş tramline. 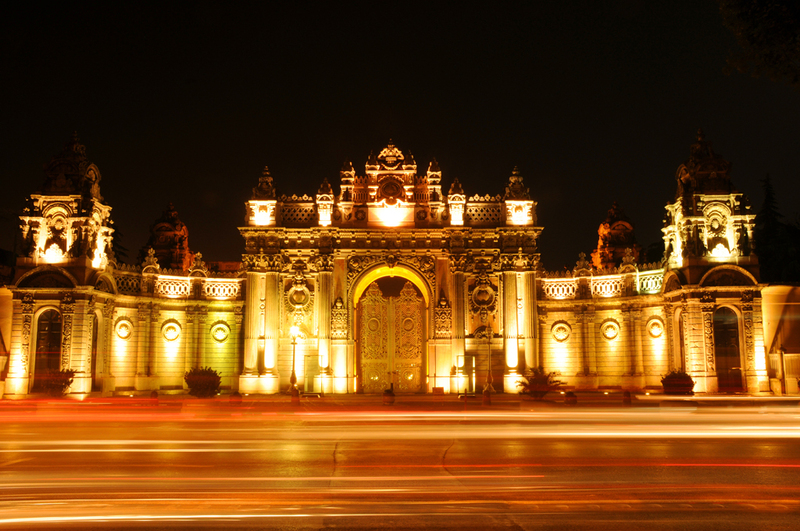 Get off at the Kabataş stop. 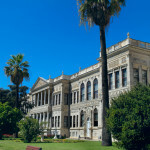 It is within walking distance.